Karaoke is rapidly gaining in popularity. It combines the benefits of a DJ and a band into a great show at a low price. 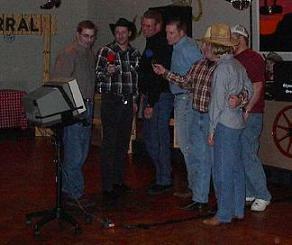 Some guests enjoy being part of the show, while others choose to hit the dance floor. You can choose to have just karaoke, or mix in original versions throughout the night.